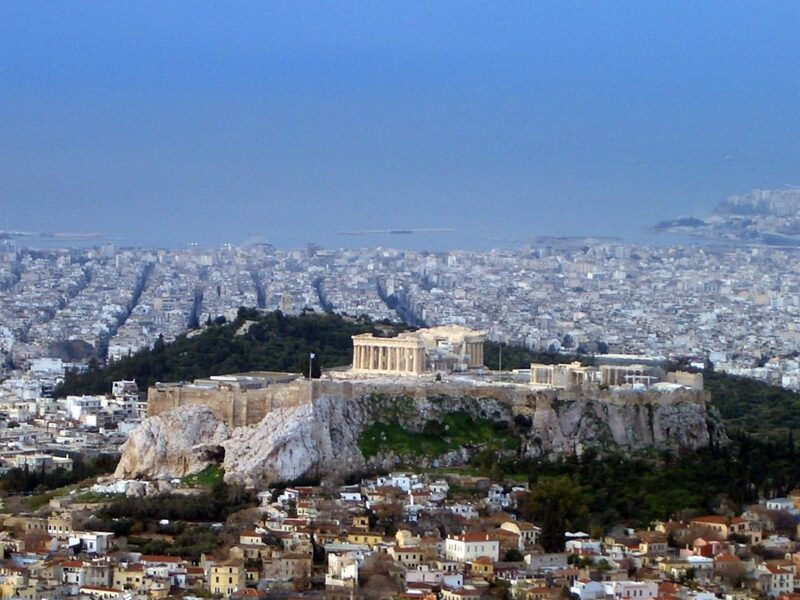 Athens is struggling to deal with rising extremism fueled by the economic crisis. Numerous recent extremist attacks in Greece bring to light not only the country’s economic difficulties, but society’s deepening division and frustration toward the political elite. Last month, former Greek Prime Minister Lucas Papademos was hospitalised after a letter bomb attack left him with serious injuries. While no group has claimed responsibility, the attack is similar to those perpetrated by Greek terrorist organisation Conspiracy of Fire Nuclei, which sent explosive devices to the IMF and Germany’s Ministry of Finance in recent months. Attacks like these are becoming more commonplace in Greece. From violent protests against austerity measures to explosions at government offices, there is trouble at both ends of the political spectrum, and Conspiracy of Fire Nuclei is not the sole perpetrator. Golden Dawn, Greece’s far-right nationalist party, has been linked to a number of violent assaults on immigrants and is accused of neo-Nazism. At the other end of the spectrum, the ruling leftist party Syriza has also been accused of instigating violence. There is no irony lost here: Syriza condemned the former Papademos government for colluding with the EU and IMF regarding austerity measures, and is now the subject of vicious public protests for its recent agreement to precisely those bailout terms. Left or right, government or opposition, no political party in Greece is exempt from attack. Rumblings of Grexit continue, and increasing numbers of Greek extremists are travelling to Syria to fight the so-called Islamic State. 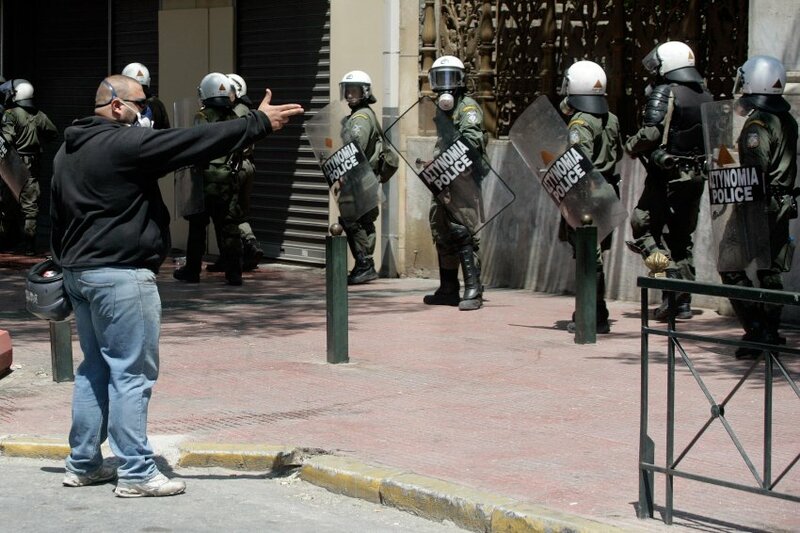 Political violence in Greece now appears rampant, with few signs of easing up. Greece’s recent upsurge in political violence can largely be attributed to its increasing economic woes. Its unemployment rate of 23 per cent continues remains stubbornly high, and one in five Greeks live extreme poverty. In the ten years since the financial crisis, Greece has been the target of a series of multi-billion euro bailouts and stimulus plans from its European counterparts. Nonetheless, Greece is yet to experience consistent financial growth. As economic strains persevere so too do the people’s frustrations with the establishment. Greeks are feeling dismayed by their politicians. Ratings of Prime Minister Alexis Tspiras’ Syriza-led government continue to fall after it abnegated on its word and agreed to austerity measures that will see Greece receive an €8.5 billion package. As many as 80 per cent of Greeks have said they are unhappy with the government’s performance, and polls show Syriza would receive less than 20 per cent of votes if elections were held today. 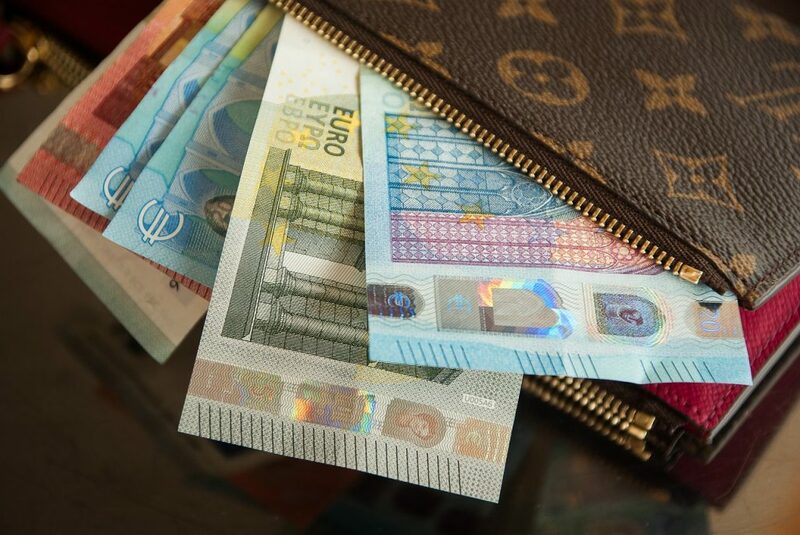 Amid accusations that Tsipiras used state funds to finance a family trip to Paris this year, it appears there is little the Prime Minister can do to appease the situation. These issues are further exacerbated in the international sphere, where the stances of Germany and the IMF continue to differ regarding the value of Greek bailouts. The latter argues that Greece cannot meet its goals without assistance, while Berlin remains reluctant to give Athens more slack. These disagreements are almost irrelevant to the average Greek however, and many see the current bailout’s austerity demands as a breach of sovereignty. But extremist violence in Greece is nothing new. Groups such as Conspiracy of Fire Nuclei have been active since the 1980s, well before the current financial crisis. Ultimately, frustration with the government comes down to diverging ideologies within society. Economic anguish is simply spurring it along. A clear example of such divergence is the immigration issue, which has intensified Greece’s divisions in recent years. Around 80 per cent of Europe’s undocumented immigrants arrived in Greece in 2015, and an estimated 1.1 million now reside there both legally and illegally. This has increased economic and social strains on the country, which is struggling to accommodate the huge numbers. These immigrants are regularly the victims of violence; one in three on Chios island has experienced assault. Conversely, these attacks have also been mirrored by anti-racism protests in major cities. As the number of immigrants in Greece increases, so too does the tension among Greeks themselves. As long as its financial problems remain unresolved, political violence in Greece will continue. With projections showing that Greece will fall short of European creditors’ 2018 predictions, renewed economic growth in the near future is improbable. Much will hinge on Germany’s federal elections in September. If Chancellor Angela Merkel’s government majority shrinks, Greece will almost undoubtedly see even less financial support from its largest single creditor. While fewer European bailouts and austerity measures will appease certain groups, others will instead feel the crippling weight of debt, meaning the country will become even more divided. A lack of support from Europe’s biggest economy could also add fuel to Grexit sentiment. As a recurring victim of letter bombs and negative rhetoric, Germany may become increasingly supportive of a Greek departure from the Eurozone. That said, the rise in pro-Europeanism of late could see renewed willingness from Europe to aid its southern neighbours. The recent French and Dutch elections, and to an extent the relative electoral failure of the Conservatives in the UK, mean that European leaders are now more inclined and equipped to assist Greece to remain part of the union. Recent economic success in Spain also inspires hope that a successful economic future for the whole of Europe once again appears possible. This is not to say that renewed European solidarity will result in a miraculous end to Greece’s frustrations. 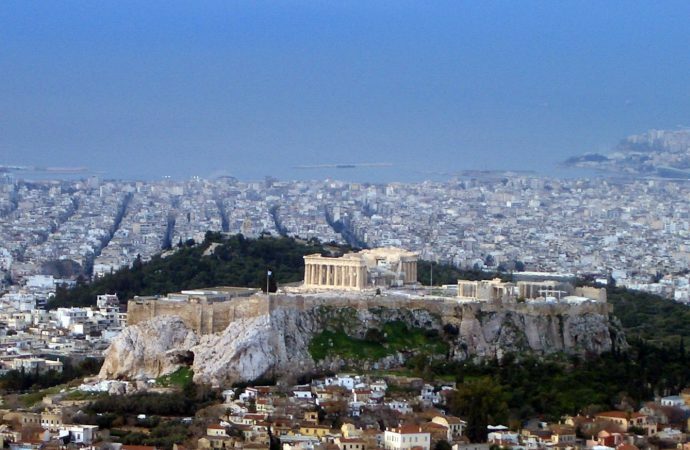 Greek society is polarised and has lost faith in the continual bailout processes. Even if the country’s economic problems are eventually resolved, it will be a long time before unemployment and poverty rates reach normal levels. Until then, Greeks will continue to feel disappointed by the political elite, meaning that political violence and unsavoury rhetoric will persist. It will also take Greece some time to cope with the presence of over a million immigrants on its shores. While a prosperous economy would help ease its load, this would not be enough to bridge the divide between Greeks over the immigration issue itself. The polarisation within Greek society regarding issues such as differences of religion and culture runs much deeper than just economics. No matter which party is in power, as long as Greece is suffering economically and ideologically, political violence will continue. The government will likely react just as it is now, by blaming European counterparts or particular groups within society, but frustrations will remain. Renewed economic growth will cushion tensions but it will not resolve them. Economic recovery will take a long time, and a united Greek society will take even longer.